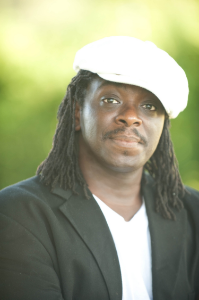 Regie Gibson will be one of the many artists performing on Tuesday, November 13 at 8 PM at the Resistance MIC! Featuring performances by Sarah Sweeney, Jennifer Jean, plus the amazing talents of writers in the newly published Pangyrus Resistance Issue including Robert Pinsky, Sonya Larson, Fred Marchant, and more. Music by Atlas Soul. Ticket includes a copy of the new Pangyrus Resistance Issue. The 2016 election inspired a broad-based Resistance not seen in the United States in decades. People from all walks of life have been protesting, marching, mobilizing, and organizing in an effort to take back the country and create a more compassionate and just world. Artists are vital to this work. American Repertory Theater, in collaboration with the literary magazine Pangyrus, continues the second season of Resistance Mic!, a series of intimate, curated evenings where a diverse collective of artists take the stage to perform truth to power in these troubled times. Launched on November 9, 2017-the one-year anniversary of the day after the 2016 election-Resistance Mic! is part of the A.R.T. of Human Rights series, an ongoing collaboration between the American Repertory Theater and Harvard Kennedy School’s Carr Center for Human Rights Policy. Hosted by Timothy Patrick McCarthy. For the link to the article. Register for Event: Regie Gibson Resistance Mic!